Harry was playing about with his calculator and keyed in a 4-digit number. He placed a mirror behind and parallel to the display, and added the reflected number, which was smaller, to the number on the display. This gave him a 5-digit sum. He then again keyed in the original number, and this time subtracted the reflection from it. He divided the sum by the difference and found that the quotient was a 4-digit prime. What was his original number? Here is a strange fact about the parish council at Loose Chippings. The left-handed members always tell the truth but the right-handed members never do. Or perhaps it is the other way round. At any rate ambidextrous members certainly make just one true statement in every two. In my local pub there is an electronic “slot machine” which offers a choice of various games. In one of them, called Primetime, after inserting your pound coin the 9 digits 1-9 appear in random order around a circle. Then an arrow spins and stops between two of the digits. You win the jackpot if the two-digit number formed clockwise by the two digits on either side of the arrow has a two-figure prime factor. So, if the digits and arrow ended up as above, you would win the jackpot because 23 is a factor of 92. However, with the digits in the same position but with the arrow between 8 and 1 you wound not win. I recently played the game. The digits appeared and the arrow started to spin. But I realised to my annoyance that, no matter where the arrow stopped, I could not with the jackpot. 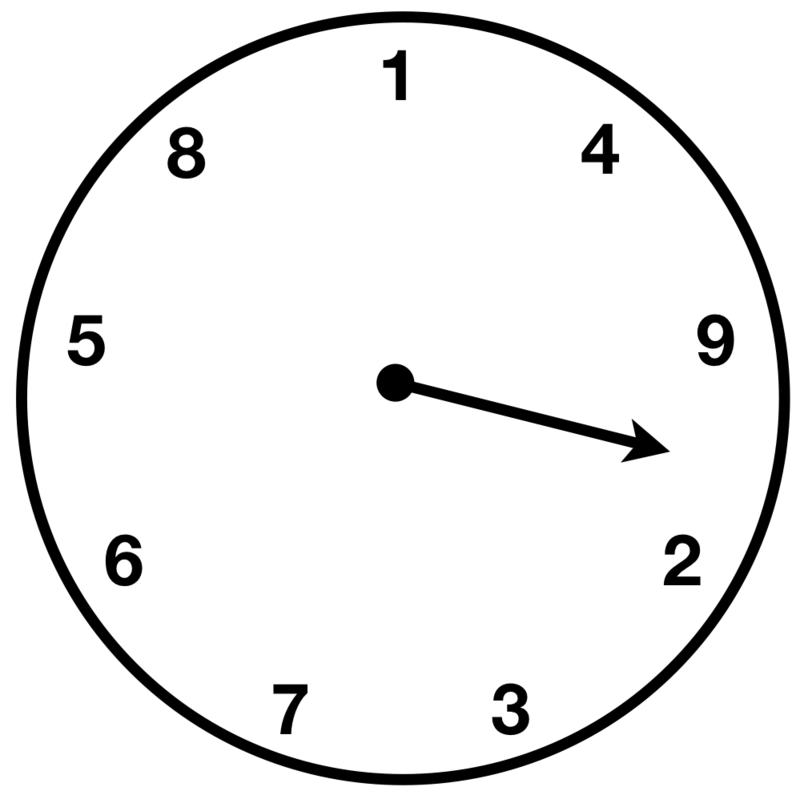 Starting with 1, what is the clockwise order of the digits? In the following long division sum I’ve marked the position of each digit. I can tell you that there were no 1s and no 0s but that all other digits occurred at least twice. Also (although you don’t actually need this information) all four digits of the answer were different. What is the six-figure dividend? A semi-prime is the product of two prime numbers. Sometimes when the digits of a semi-prime are reversed, the resulting number is also a semi-prime: 326 and 623 (2 × 163 and 7 × 89 respectively) are both semi-primes. More rarely the sum of these two semi-primes is itself a semi-prime, as with 326 + 623 = 949 = 13 × 73. In fact, 949 is the largest of very few three-digit semi-primes that have these characteristics; but two of the three-digit semi-primes that can be the sum of two semi-primes, of which one is the reverse of the other, are consecutive numbers. Identify these two consecutive three-digit numbers and the sums that lead to them. (Give your answer in the form a = b + c and d = e + f, where d = a + 1). The Rätselgarten in Vienna is famous for its twenty goddesses, whos statues stand at the junctions of its paths. The task of keeping them spick and span belongs to Stephan Schnitzel. Once a month he dusts and polishes them, following a route of his own design which, without leaving the paths show, takes him to each goddess exactly twice. P A D M O I C T F K G B J R H N L Q E S P A L Q J R H N D M O I C T S F E K G B. But, as you will no doubt spot without even being told which letter to put at which junction, he has made a small error in the telling. He has inadvertently put two consecutive letters in the wrong order somewhere. Can you work out which they are? Professor Dolittle shades in those squares corresponding to one of his lectures. He has at least one lecture a day (and on some days he actually has more than one) and no two consecutive days have exactly the same lecture times. On just one day he has no afternoon lectures. Dolittle only seems to work half the week: it is possible to cut the timetable into two pieces of equal area, with one straight cut, so that one half is completely free of shading. Someone was needed to give an extra lecture at one of two times next week: the one later in the week was also at a later time of day. I asked the professor if he was lecturing at those times. I knew that his answer together with all the above information, would enable me to work out his complete timetable. In fact, he was free for just the first of those two times and he agreed to take an extra lecture at that time. If I told you the day of that extra lecture you would be able to work out his complete timetable. Please send in a copy of the professor’s timetable (without the extra lecture added). In the magazine this puzzle seems to have been labelled: “Enigma 1081“. Once a year, when the sand is right for sand castles, the trout are rising nicely in the streams and the hart is doing its proverbial panting, the New Scientist decides to remove the grime from its typewriters and moth from its editors. The latter then take off for the hills, having summoned the old team of Amble, Bumble, Crumble and Dimwit to attend the former. The task always takes longer than it should because the four worthies are not all available. Three years ago Amble, Bumble and Crumble did it in 12 days. Two years ago Bumble, Crumble and Dimwit managed it in 15 days. Last year Amble, Crumble and Dimwit knocked it off in 18 days. And this year Amble, Bumble and Dimwit were expecting to romp through it in 20 days, until Amble and Bumble fell under a bus. If the whole job falls on Dimwit, how many days will it take? If Britain doesn’t join the common European currency, the British will have to get used to converting pounds into euros or vice versa. These two multiplications are entirely distinct — any letter may or may not have the same value in one sum as the other. But within each sum each letter represents a different digit, the same letter represents the same digit wherever in the sum it appears, and no number starts with a zero. Just as the multiplier in (b) is double that in (a), so is the number of solutions — there is just one solution to (a) but there are two to (b). Please find the six-digit numbers represented by POUNDS in the solution to (a) and in each of the solutions to (b). A correction was published with Enigma 1023, that: the phrase “any letter may not have the same value” should have read “any letter may or may not have the same value”. I have made the correction in the text above. It think all it’s trying to say is that the two alphametic sums should be treated separately, and don’t necessarily use the same mapping of letters to digits. These are, in fact, the same product done by long multiplication in two different ways, with the two multiplicands simply reversed in order. Between them, those two three-figure numbers use six different non-zero digits. And the final answer, which is of course the same for both, has all the digits different and non-zero. I have a novelty clock which shows the time digitally from 1:00 to 12:59. The display is green at those times when the individual digits displayed form, in the order shown, an arithmetic progression. The display is red at all other times. So, for example, the display is green at 1:35, 2:10, 3:33 and 12:34. My nephew has an identical clock, but whereas mine shows the correct time, his is a whole number of minutes (less than an hour) slow. The display on the two clocks are continuously the same colour as each other for over two hours. How many minutes slow is my nephew’s clock? Boremaster’s commentary on Hegel being a basic book, our library has several copies. It is not exactly a jolly read, as you will know if you have ever waded through its 36 chapters, but is much in demand on the ground that it is less painful than Hegel himself. Even so I was surprised to meet my friend Jones leaving the library with three copies under his arm. For this to be true, how few copies need the library have in total?